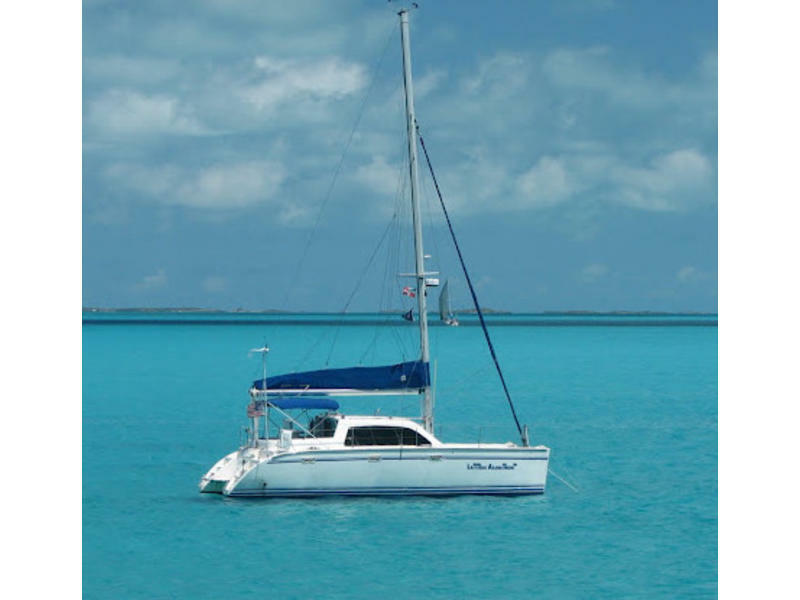 The Lagoon 35 combines an excellent layout and high-quality finish with a capability of sailing very fast. 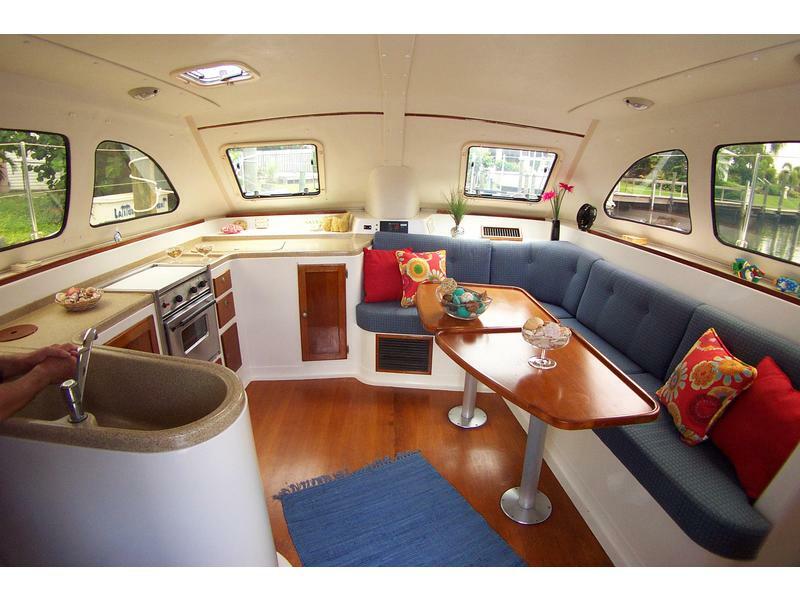 She offers livability and affordability in a stylish, stable platform that also has the benefit of a moderate beam for cross country transport and slip considerations. 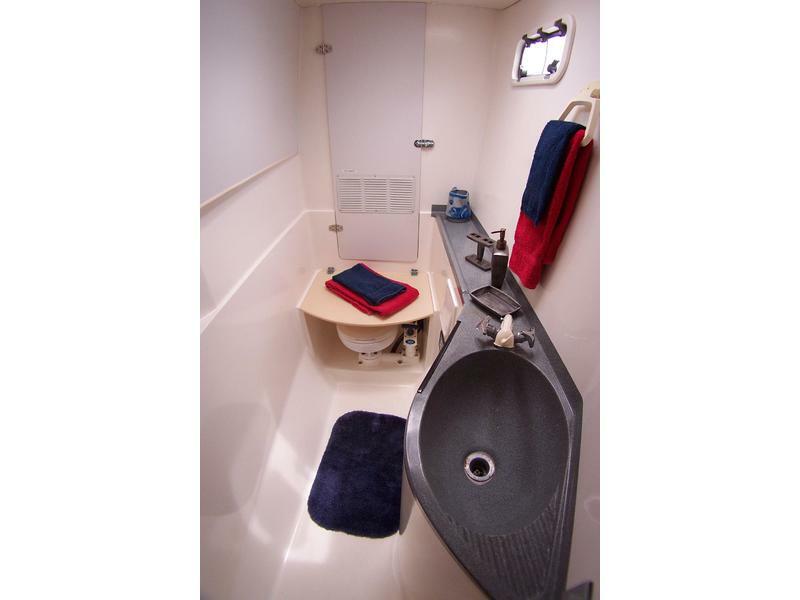 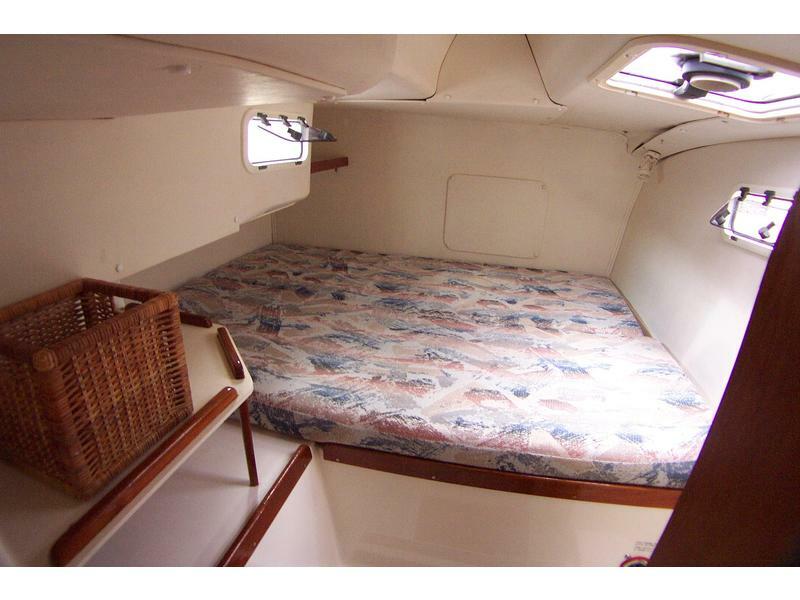 The Lagoon 35 CCC offers two queen-size berths in aft cabins. 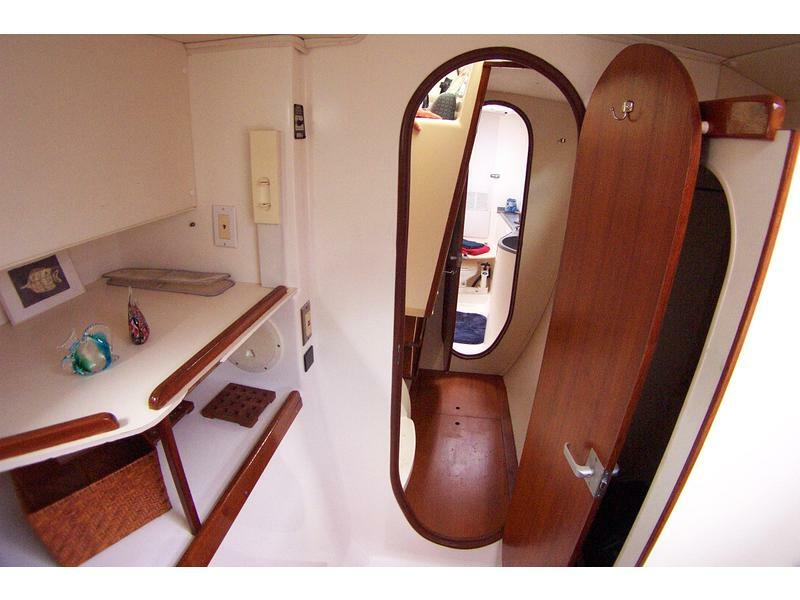 The main cabin houses a galley and dinette area. 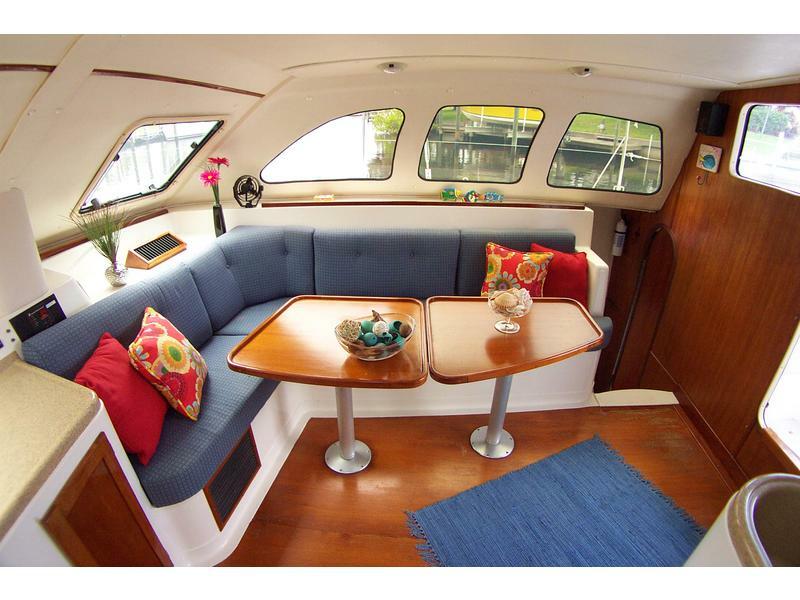 The two-piece dining table and L-shaped seat offer optional extra sleeping. 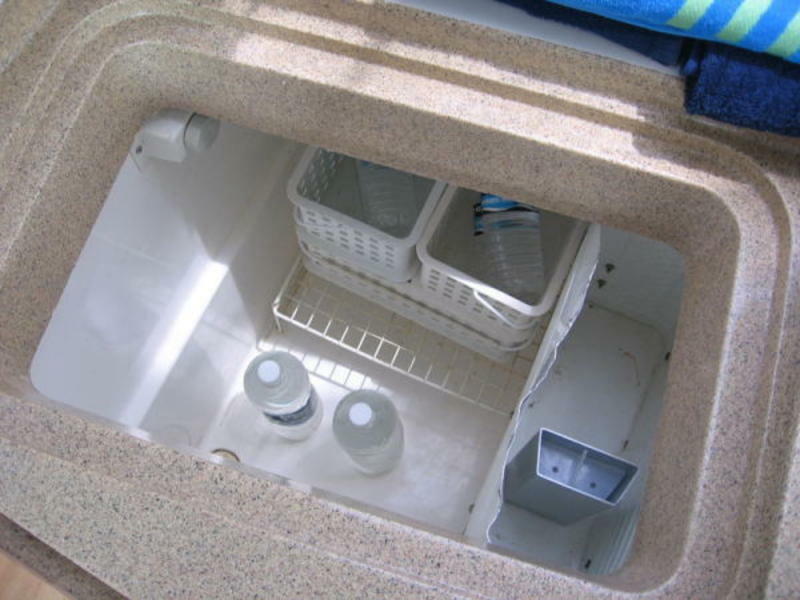 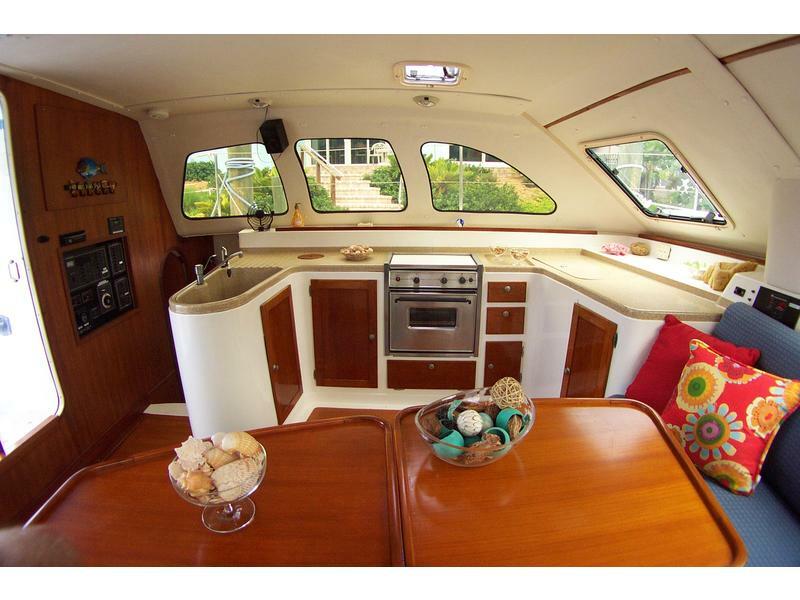 The galley houses a refrigerator/ freezer, a two-burner stove with oven and large sink. 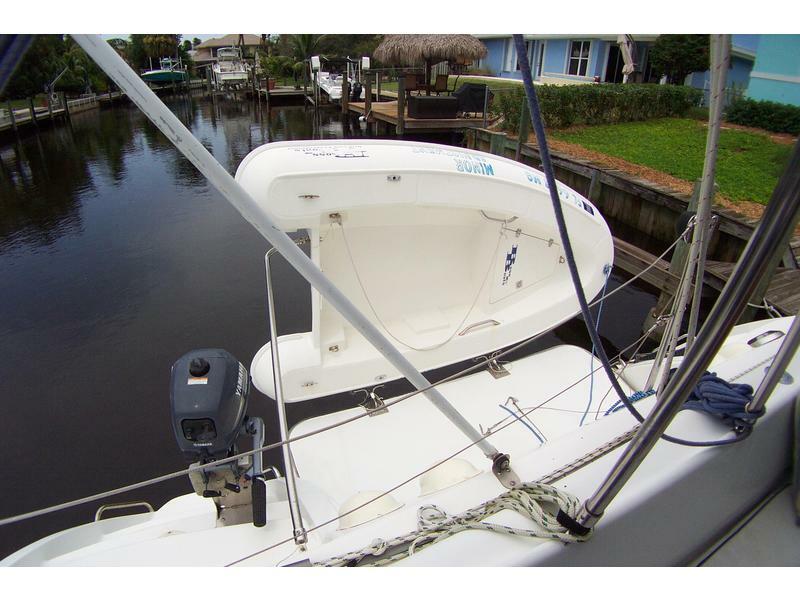 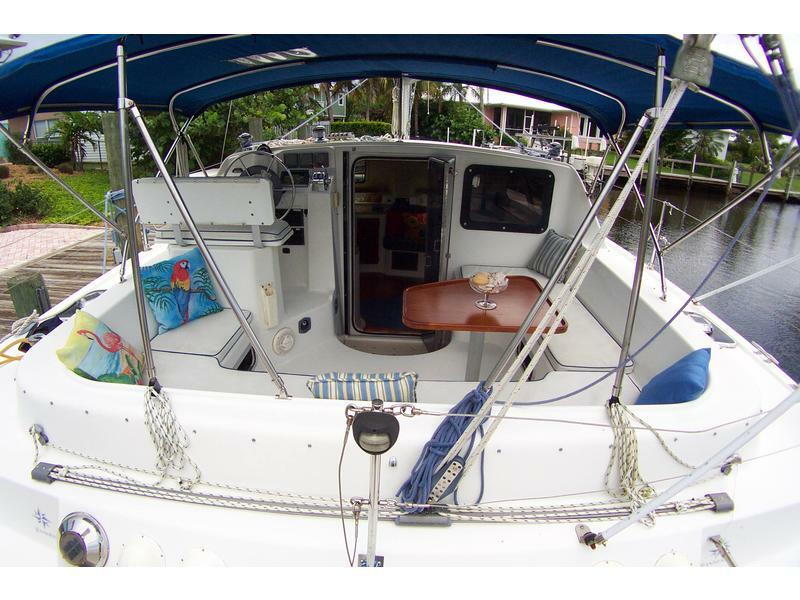 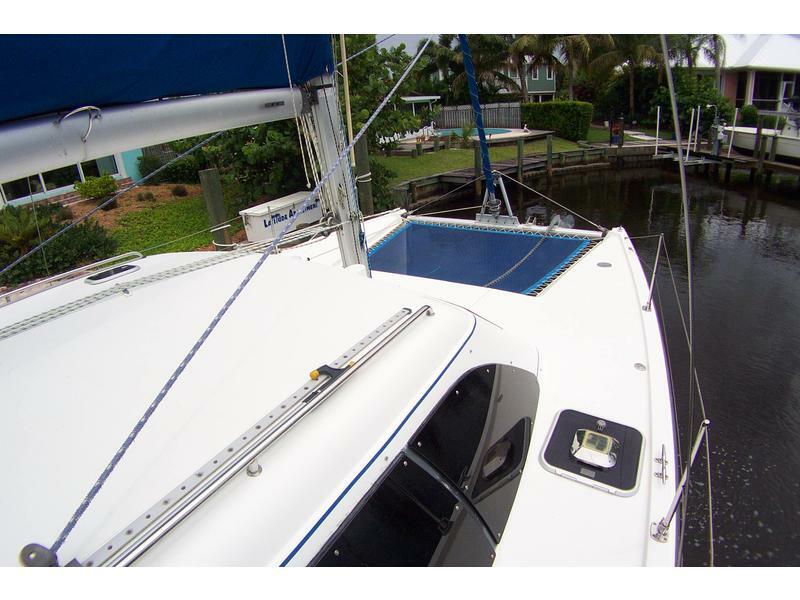 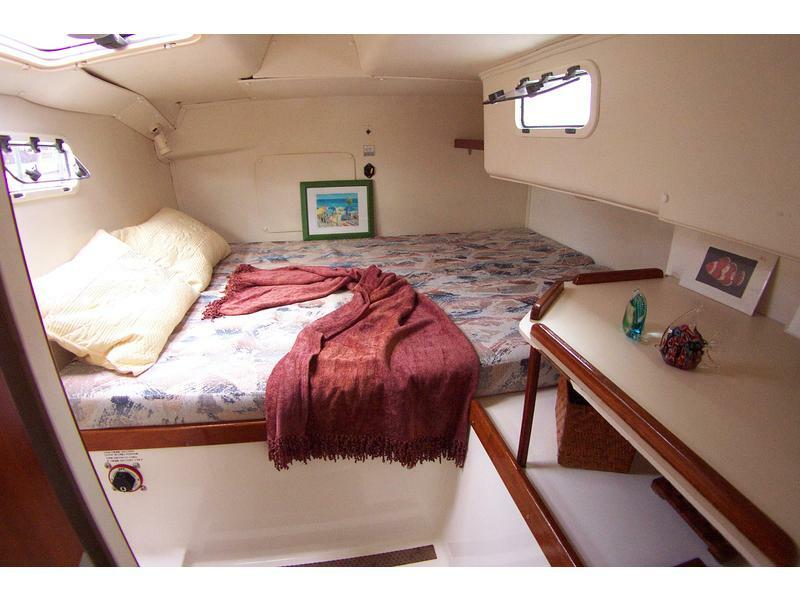 Make your winter plans now to sail away on this great cat! 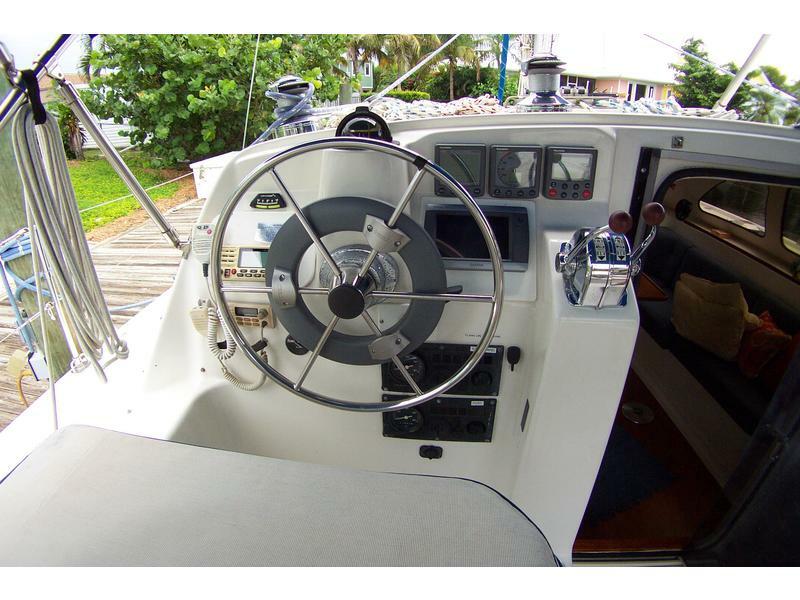 New Electronics in 2011: Garmin 740 radar and chartplotter, Raymarine X-5 Autopilot, Raymarine ST60 Tridata, Standard-Horizon GX-2100 VHF with AIS. 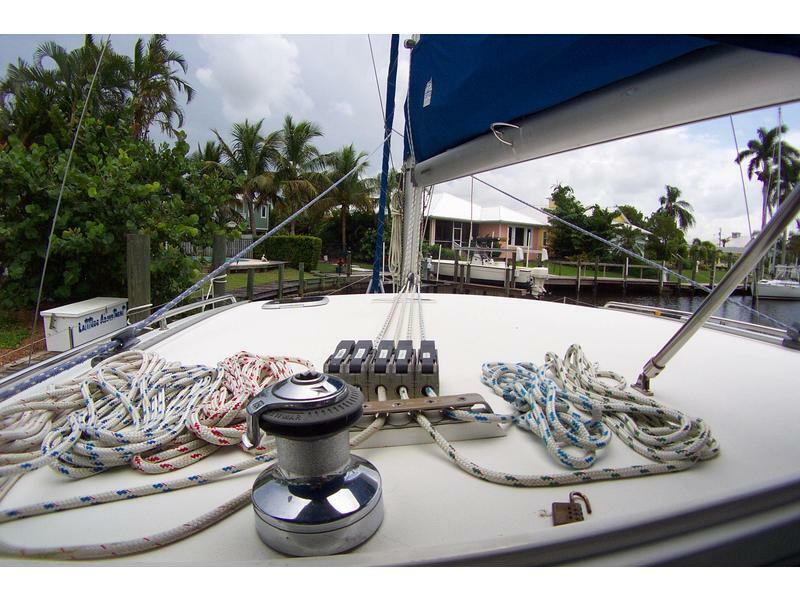 Profurl Roller Furling, Doyle Stack Pak, Running Rigging Replaced in 2010, New Tide Marine sail track slide and fittings, New Main Sail in 2010. 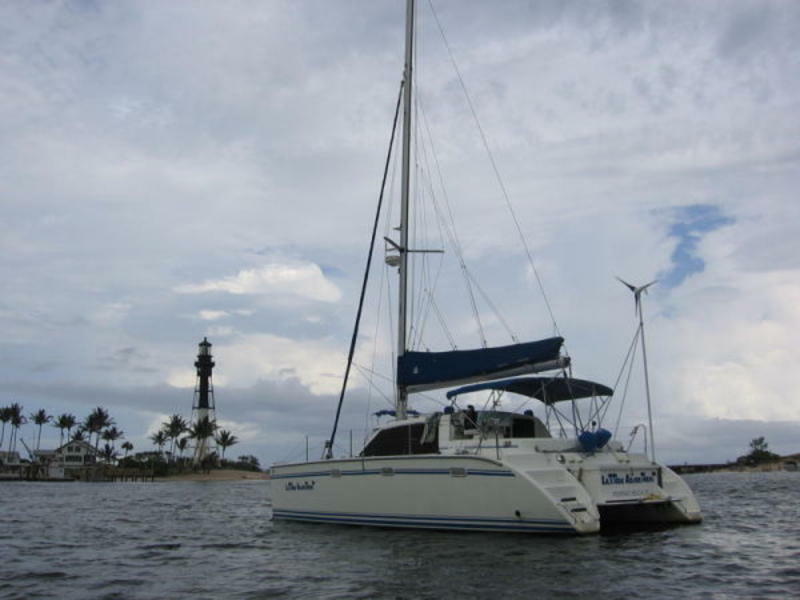 Also has a 16,000 BTU Cruisair AC and Air-X Marine Wind Generator. 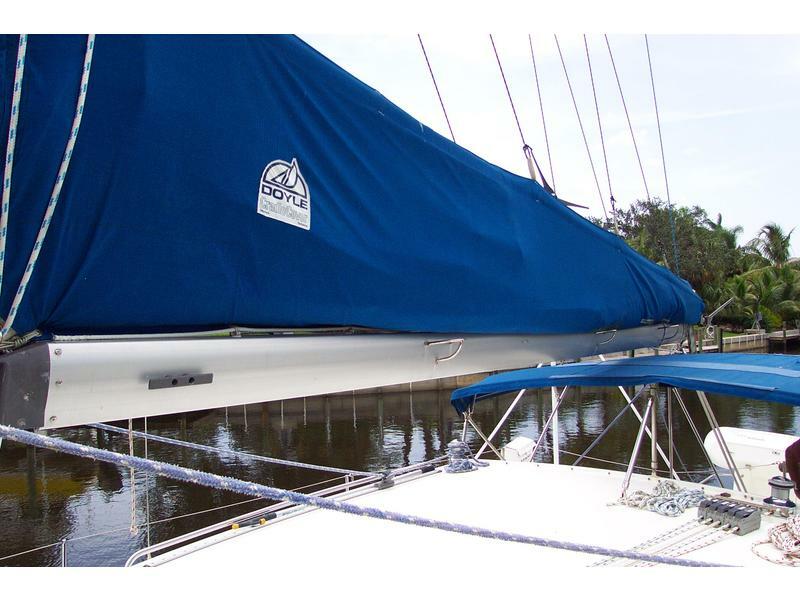 Boss 8.5 Yachtsman dinghy with Weaver Davits.